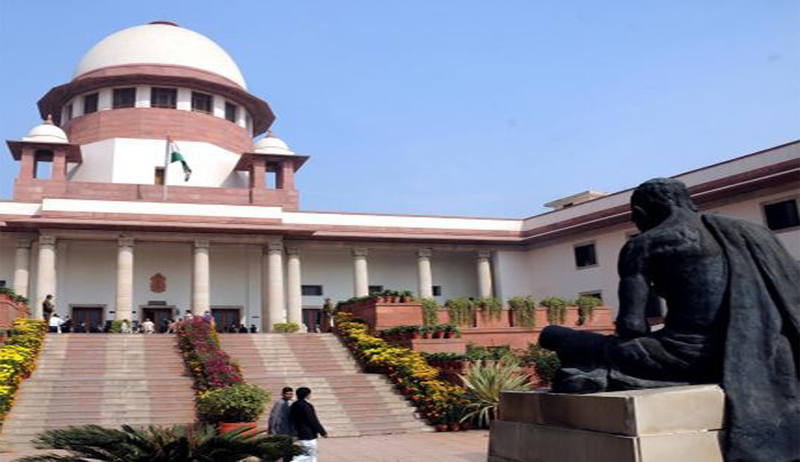 Supreme Court today referred a plea for voluntary passive euthanasia to the constitution bench in the case of a person who is in terminal illness and in medical opinion there is no chance of revival and recovery. The decision of a bench headed by Chief Justice P Sathasivam came on a plea by an NGO Common Cause that a person, who is afflicted with a terminal disease, should be given relief from agony by withdrawing artificial medical support provided to him which is medically referred to as passive euthanasia. A five Judge Bench of Supreme Court in Gian Kaur v. State of Punjab held both euthanasia and assisted suicide not lawful in India and overruled the two Judge Bench decision in P. Rathinam v. Union of India. The Court held that the right to life under Article 21 of the Constitution does not include the right to die. But later in Aruna ramchandra Shanbaug v. Union of India the Supreme Court held that passive euthanasia can be allowed under exceptional circumstances under the strict monitoring of the Court. The difference between ‘active’ and passive’ euthanasia is that in active euthanasia something is done to end the patient’s life while in passive euthanasia, something is not done that would have preserved the patient’s life. As per the reports Chief Justice P Sathasivam said an earlier judgment of the court on voluntary passive euthanasia in Aruna Shanbaug’ Case did lay down a certain procedure but it was not clear. He further said that they are not making any references and leaving it for the constitution bench to examine the whole issue exhaustively in all its dimensions. Procedure laid down by Supreme Court in Aruna Shaunbagh’s case to be adopted by the high court in an an application for conducting Passive Euthanasia as follows. Simultaneously with appointing the committee of doctors, the High Court Bench shall also issue notice to the State and close relatives e.g. parents, spouse, brothers/sisters etc. of the patient, and in their absence his/her next friend, and supply a copy of the report of the doctor's committee to them as soon as it is available. After hearing them, the High Court bench should give its verdict. The above procedure should be followed all over India until Parliament makes legislation on this subject. The High Court should give its decision assigning specific reasons in accordance with the principle of `best interest of the patient' laid down by the House of Lords in Airedale's case .The views of the near relatives and committee of doctors should be given due weight by the High Court before pronouncing a final verdict which shall not be summary in nature. The present petition was filed in 2008 when the apex court had issued notices to the Union Ministry of Health and Law and sought their response on the issue. Petitioners contended that when a medical expert opines that the person afflicted with terminal disease has reached a point of no return, then he or she should be given the right to refuse being put on life support system as otherwise it would only prolong the agony. However, Centre is not in favour of the move which according to it is like legalising “suicide”. Opposing the plea of the petitioner, Additional Solicitor General Siddharth Luthra submitted that it cannot be permitted in Indian society and it would be against the law and medical ethics to kill a person under any circumstance. In the light of the above discussion, it is clear that although the Constitution Bench in Gian Kaur (supra) upheld that the ‘right to live with dignity’ under Article 21 will be inclusive of ‘right to die with dignity’, the decision does not arrive at a conclusion for validity of euthanasia be it active or passive. So, the only judgment that holds the field in regard to euthanasia in India is Aruna Shanbaug (supra), which upholds the validity of passive euthanasia and lays down an elaborate procedure for executing the same on the wrong premise that the Constitution Bench in Gian Kaur (supra) had upheld the same. In view of the inconsistent opinions rendered in Aruna Shanbaug (supra) and also considering the important question of law involved which needs to be reflected in the light of social, legal, medical and constitutional perspective, it becomes extremely important to have a clear enunciation of law. Thus, in our cogent opinion, the question of law involved requires careful consideration by a Constitution Bench of this Court for the benefit of humanity as a whole. We refrain from framing any specific questions for consideration by the Constitution Bench as we invite the Constitution Bench to go into all the aspects of the matter and lay down exhaustive guidelines in this regard.